Former teen idol David Cassidy has been charged with leaving the scene of an accident and driving with an expired tag after a crash in Florida last month. The Sun Sentinel (http://tinyurl.com/oyqlj59 ) quotes police as saying that the 65-year-old Cassidy sideswiped a truck and then tried to cover his license plate before driving away with a flat tire. The charges were filed Wednesday. Authorities said witnesses identified Cassidy as the driver in a photo lineup. Cassidy's lawyer, Jason Forman, says the police report is riddled with inconsistencies. He says Cassidy gave police his driver's license and registration before leaving the scene. A hearing has been scheduled for Oct. 27. Cassidy, who starred in "The Partridge Family" television show, lives in Fort Lauderdale. He filed for bankruptcy earlier this year. 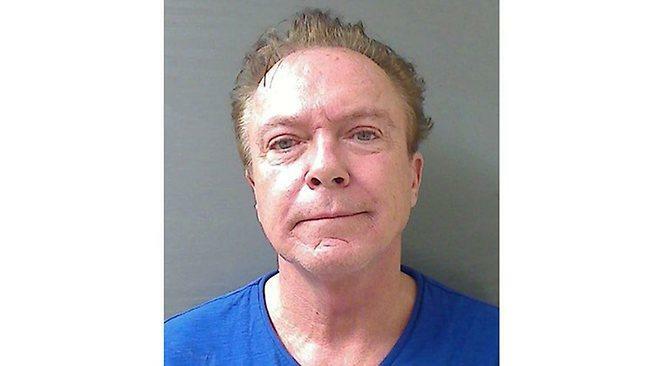 A lawyer says a New York drunken-driving charge against 1970s teen heartthrob David Cassidy has been reduced from a felony to a misdemeanor and returned to a town court for resolution. Cassidy was pulled over in August in the town of Schodack and charged with driving while intoxicated. He was in upstate New York for a horse racing meet in Saratoga Springs. The charge was a felony because Cassidy has a 2011 driving-under-the-influence conviction in his home state of Florida.